Happy Thursday, My Lovelies! 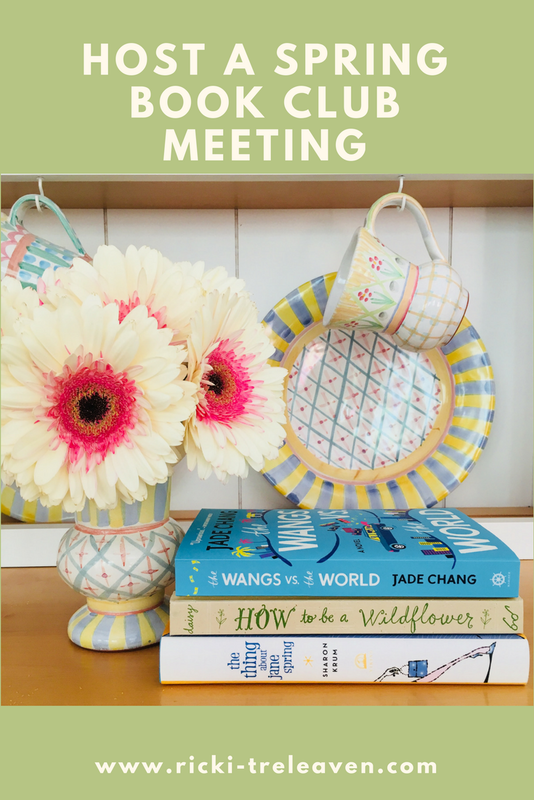 Today I'm sharing ideas for hosting a spring book club meeting. I've chosen three very different books and themes for spring, and I hope that a few of these ideas might work for you and your book club. Charles Wang, a brash, lovable businessman who built a cosmetics empire and made a fortune, has just lost everything in the financial crisis. So he rounds up two of his children from schools that he can no longer afford and packs them into the only car that wasn’t repossessed. 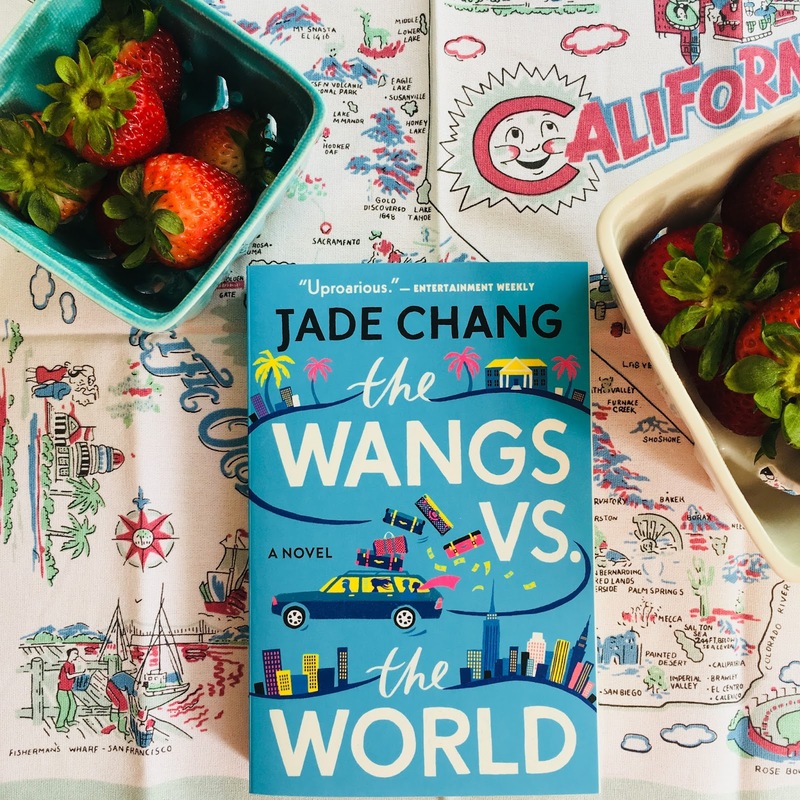 Together with their wealth-addicted stepmother, Barbra, they head on a cross-country journey from their foreclosed Bel-Air home to the Upstate New York retreat of the eldest Wang daughter, Saina. The trip brings them together in a way money never could. 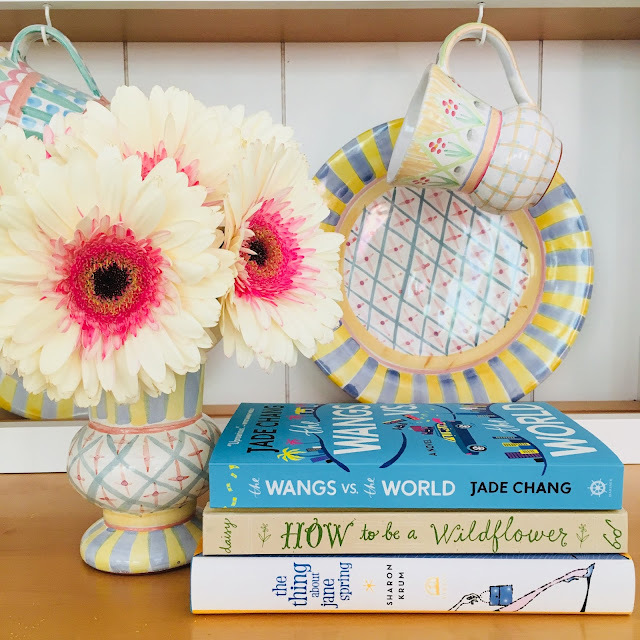 “Highly entertaining” (BuzzFeed), this “fresh Little Miss Sunshine” (Vanity Fair)is a “compassionate and bright-eyed novel” (New York Times Book Review), an epic family saga, and a new look at what it means to belong in America. 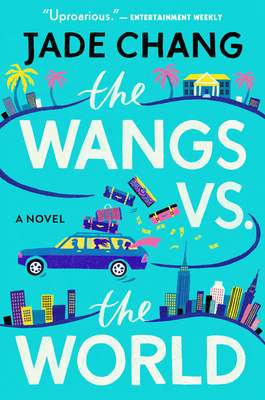 “When the Wangs take the world, we all benefit” (USA Today). 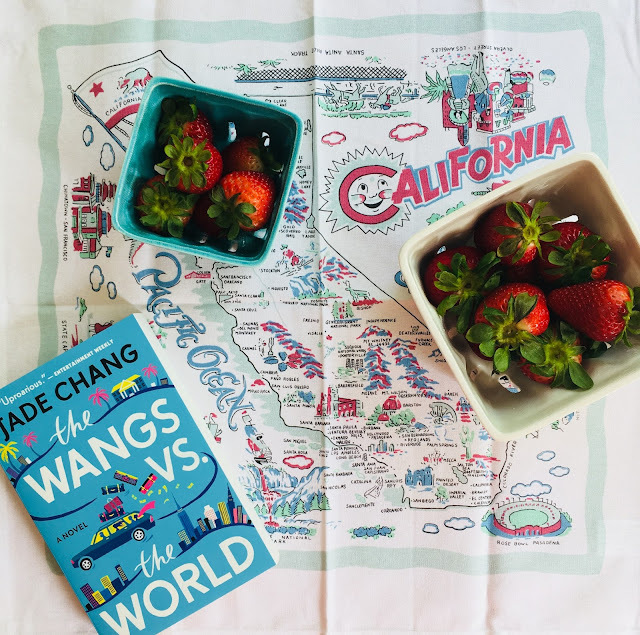 Spring is the perfect time to read a book about a road trip, don't you think? This book is so much fun, and it does remind me of Little Miss Sunshine. Decorate using vintage or vintage-looking tea towels with state maps on them. You can find them on eBay, Etsy, Uncommon Goods, Amazon, and in local gift shops because I see them everywhere. Strawberries are in season, and there's a scene in the book with strawberries. I think it would be fun to have a build your own strawberry shortcake bar. At thirty-one, Jane Spring has everything a woman could ask for and seemingly everything a man could long for: "great legs, brains, rising star status in the Manhattan D.A.’s office”but she just can’t find a man who’ll fall madly in love with her. Men are always lining up to ask her out, but for some reason no one wants a second date. So Jane resolves to change her tack. One snowy night while watching a Doris Day marathon on cable it hits her: Doris Day always got her man. 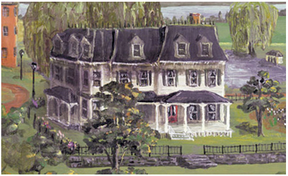 Trading her nondescript black pantsuit for petal pink Chanel and pearls, Jane dyes her hair, stops cursing, softens her voice, paints her nails "even her apartment”and embarks on a fun-filled journey to find the smart, sweet, gorgeous, capable, ambitious, courageous, loving, adoring, hardworking man of her dreams. Trust me, this book will get your book club talking. Jane's a military brat who's cool and calls everyone a civilian until her self-imposed makeover. I confess that Doris Day is my favorite, and you might just want to watch The Glass Bottom Boat to get in the mood for this book. Decorate with daisies...lots of daisies! And why not serve Banana Pudding Layer Cake similar to the Banana Cream Cake Doris Day made for Rod Taylor (and Dom DeLuis destroys) in The Glass Bottom Boat. Serve with tea or coffee. Why not dust-off your grandmothers tea and coffee service? If this sounds like a lot of trouble remember that you're not painting your entire home like Jane! This book is a little harder to find, so you'll probably have to order it via Amazon. 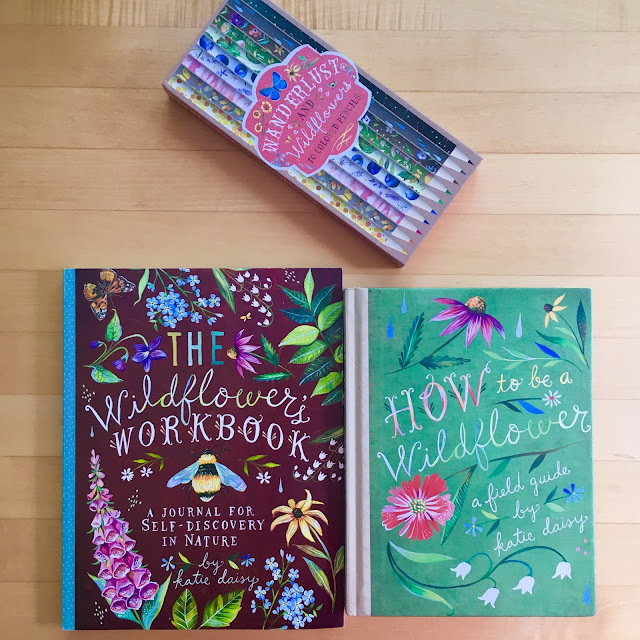 A fresh perspective, an outdoor exploration, a new adventure about to begin—How to Be a Wildflower is the book to celebrate these and other wide-open occasions. Encouraging self-discovery through encounters with nature, beloved artist Katie Daisy brings her beautiful paintings and lettering to this collection of things to do and make, quotes, meditations, natural history, and more. A recipe for strawberry rhubarb pie, a prompt to hike by the light of the moon, a place to press flowers: every page inside the charming textured two-piece case invites readers to wander, gather, savor, and ponder the natural world around them. 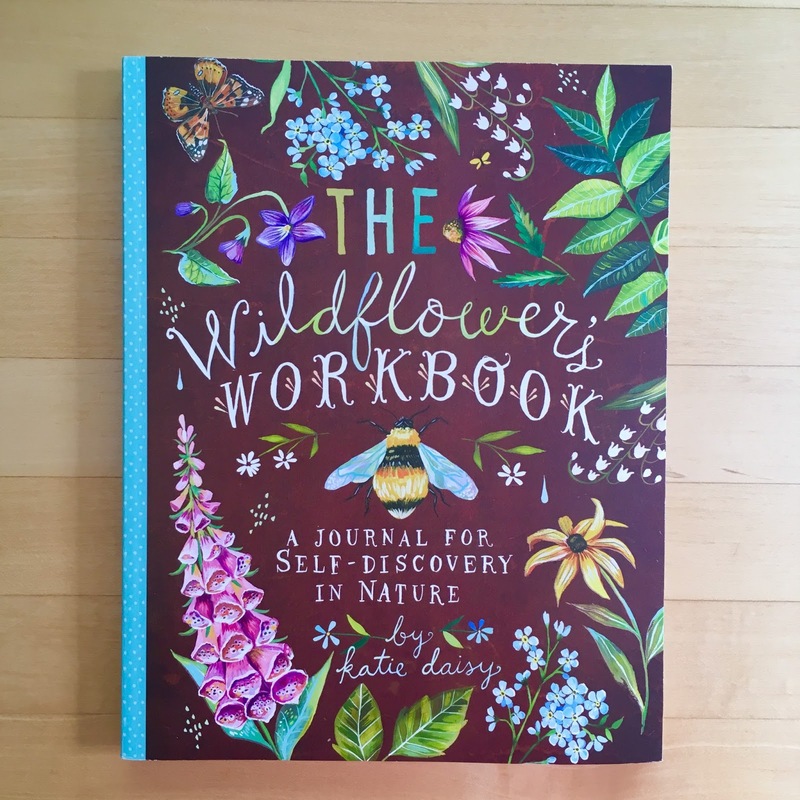 For every wild and free spirit—and those who aspire to be—this is a field guide to living life to the fullest. If you can't stand the thought of staying indoors on another beautiful spring day, you'll love this idea: take it outside! 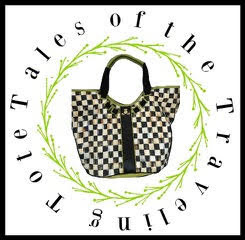 Why not have your book club meeting at your local botanical gardens or a park? 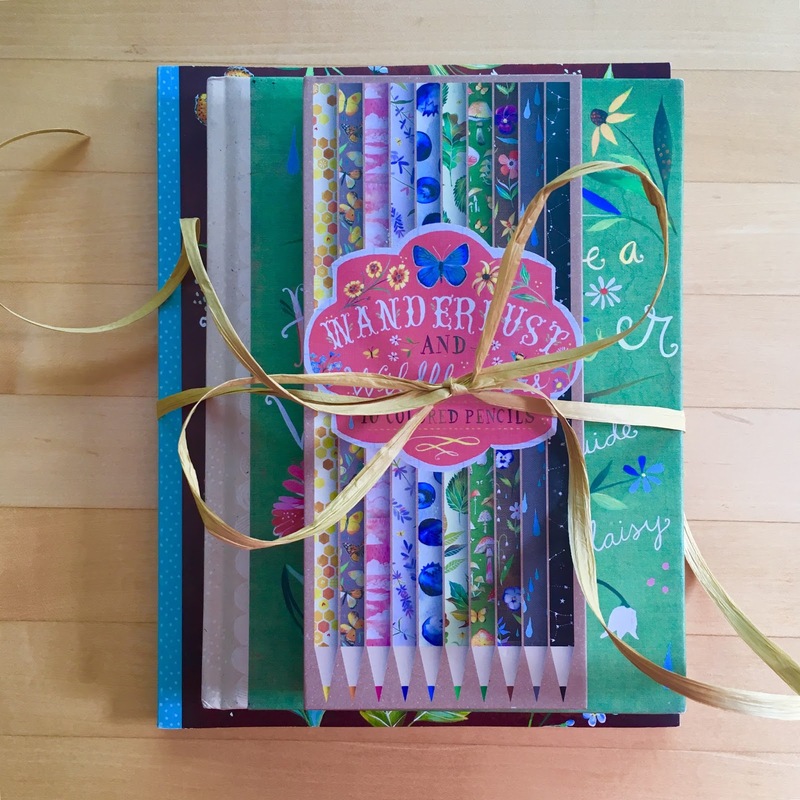 Club members could walk around and use this adorable book as a guide. Your book club could meet at a park or public garden and bring a brown bag (or wildflower bag) lunch. Your club could also do some of the activities in the workbook. The line also has colored pencils. If you have a beautiful back garden and patio, you could host the meeting at your home and enjoy the pretty weather outside. If you host at home, you could bake the strawberry rhubarb pie from the book and serve it with homemade whipped cream. That's it! Three very different ideas for hosting your spring book club meeting. Which idea do you like best? Such pretty photos RJ and such good ideas for hosting (which will work for other get togeathers too). All of the books sound like fun summer reads, road trip and I’m thinking beach trip. I love your idea of a strawberry shortcake bar, just perfect for this amazing spring weather we are having. Looking forward to seeing you for lunch next week.........Happy weekend. 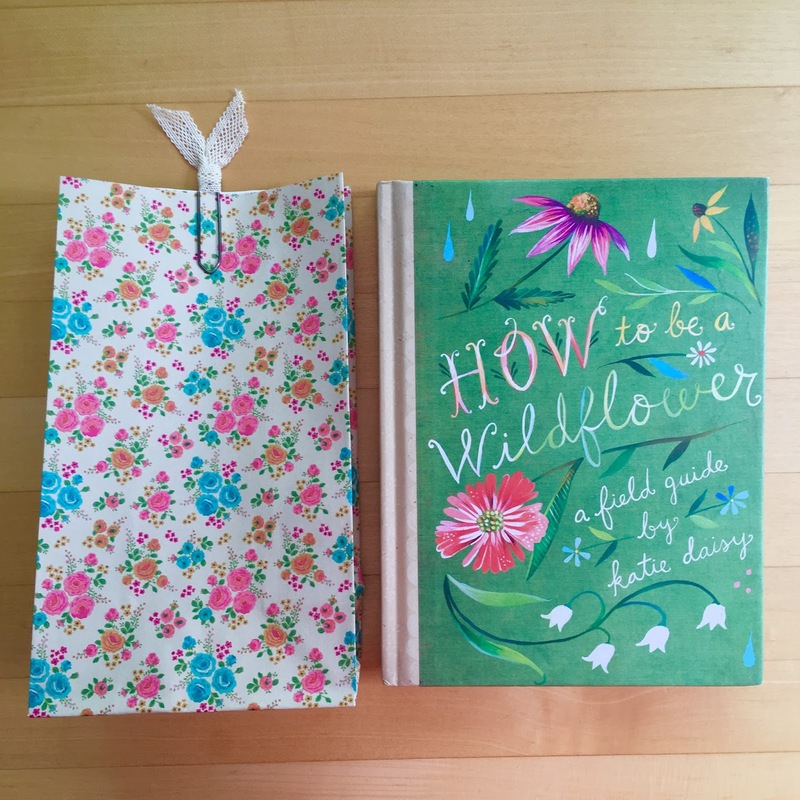 I need to save this Wildflower book title for a future purchase for me and as a gift for a creative friend. Love the pencils, too. Yes, that one might have be on my list. The shortcake bar is a great idea too! How to be a Wildflower would be my first choice. But all of the book covers on these books make them each irresistible! Enjoy your day! Hugs! What a fun post!! I love that you gave ideas for menus and settings to go with the book! 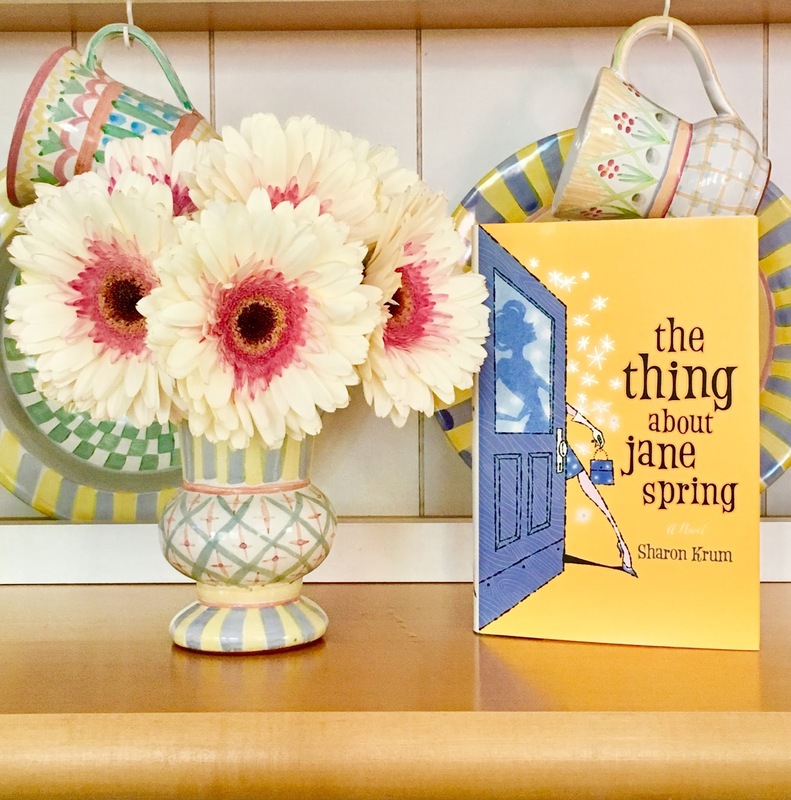 I would have to choose, The Thing About Jane Spring! Sounds like an entertaining book, and Doris Day is one of my eternal favorites!